1. The Atlas Accord is an annual exercise that brings together U.S. Army personnel with militaries in Africa. 2. More than 300 military members and seven nations joined the exercise this year from Feb. 7 to 15, 2012. 3. Last year, Uganda hosted the exercise, which was called Atlas Drop. 4. 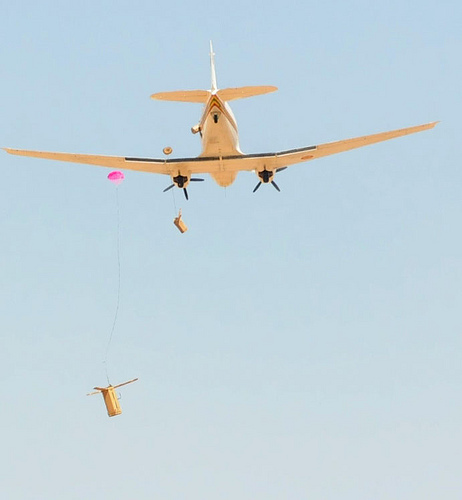 Atlas Accord 2012 focused on enhancing air drop capabilities and ensures effective delivery of military resupply materials and humanitarian aid. 5. The learning goes both ways. “I learned they do a lot with a little. I don’t know how they handle trauma situations but, it’s impressive how they do it,” said Staff Sergeant Anthony P. Baca, an 807th MDSC Army healthcare specialist. 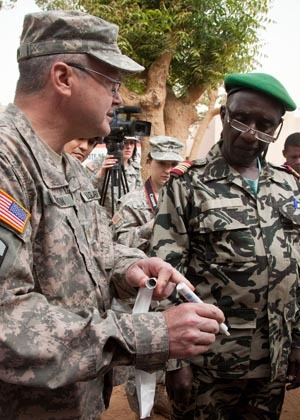 There have been challenges, but the Malians were very resourceful, said U.S. Army Capt. Bob V. Luthor from Huntington, W. Va., a team leader with Co. C, 2nd Bn., 19th SFG (Abn.). They removed a second set of pilot flight controls from one of the smaller aircraft to fit the supplies and personnel to drop them. 6. African troops learned how to secure a drop zone in adverse conditions. 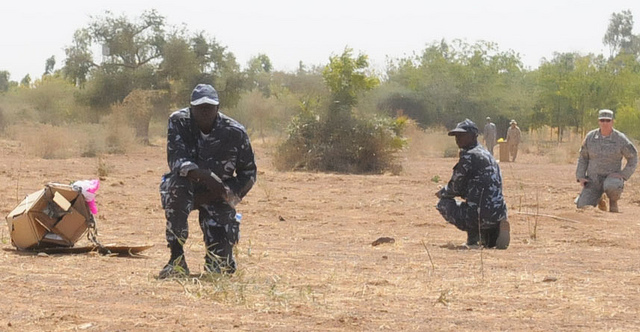 “The training was really interesting,” said Malian Army Sgt. Oumar Traore, as airborne infantryman. “The 19th SFG taught us to set-up the operational readiness platform, to send out reconnaissance patrols, and establish security at the drop zone. We’ve learned how to conduct these operations under any circumstances. This exercise also helps us work with troops from other nations,” he said. 7. Atlas Accord also included a medical component. “We are training with the Malian medical personnel on different types of equipment that include cervical braces, finger splints, ring cutters, pressure bandages, back boards and more,” said Maj. Dean A. Nelson, a family physician and Wendell, Idaho native assigned to the 328th CSH, 807th MDSC. 8. The U.S. medics are also training, in a sense, on how to be better trainers. “The training will help our medics become better since they are teaching the Malians through interpreters and have to move slowly and ensure they are understood; it gives them a better understanding of the training they are providing,” said Lt. Col. David H. Moikeha, an emergency physician, and Coppell, Texas native, assigned to the 94th Combat Support Hospital, 807th MDSC. 10. The exercise’ impact will reach far beyond February 2012. The pathfinder training during Atlas Accord 12 can potentially help future joint operations between partner nations to deliver humanitarian supplies safely to those in need. — Compiled from various reports, including from Utah Army National Guard, Soldiers Radio News, U.S. Army Africa, AFRICOM, and others.